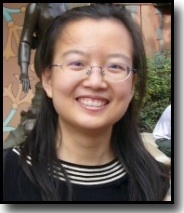 PROFESSOR Yan Hao joins the department in the Fall of 2012. She received her Ph.D. in applied mathematics from the College of William and Mary in 2011 and held a post-doctoral position at Arizona State University for the following year. Her research interests include Computational Biology and Numerical Analysis.